We were so happy to see that finally an Italian restaurant has come up at the Dockyard at one corner of the Clock Tower Mall. This is the first Italian restaurant at the western end of Bermuda at Sandys. Italy born Livio Ferigo who runs the Bonefish Bar & Grill nearby, is the owner of Cafe Amici. His concept and the theme of the restaurant is for families and friends to get together and have traditional fresh Italian food in a relaxing comfortable environment. The whole theme of the restaurant is about blending the Italian flavor with that of Bermuda. As you look around, there are portraits of Italian scenes and even of the church where Livio got married. Another nice thing about the overall vibe is that other than many tourists (mostly cruise passengers), you will also find many locals dining here. Many of the recipes at cafe Amici are inspired from the ones that his mother used when he was growing up in Italy as a child. His parents lived close to Venice. So there is a lot of personal touch and signs of great passion visible all across. We came to know that a lot of people including Livio himself had put in tremendous effort to create this nice little cafe in the dockyard. He is always around personally to check that the food served is impeccable. Livio says "...for me the most important thing is the food and the atmosphere inside the restaurant". While the restaurant is fairly new, we heard that the word of authentic homemade pizzas and the traditional lasagnas have been already spreading fast in the island. There is a senior Italian Pizza Chef who has been hired to provide training to the other chefs so that the Pizza is made to perfection. They have over 13 types of Pizzas and you can customize one the way you want. Breakfast includes bagels, pancakes, waffles and eggs of all types. You also get wraps and muffins, as well as codfish and potatoes on Sunday morning. Lunch menu includes homemade pizzas, traditional pastas, salads (about 10 different types), Italian sausage, ravioli, risottos, burgers, wraps (try out the Jerk chicken wrap, prepared with less spice). The dinner menu offers chicken, steak, lamb and fish items. However you also get the extensive pasta or pizza options as well during dinner. Some of the other nice dishes include the veal roulade or even the shrimp curry. There is also a nice selection of Italian wines. They serve several different types of coffee including Italian, Jamaican, Irish and Mexican. Try out one of the frozen drink specials like limoncello and grappa. Cafe Amici serves breakfast, lunch and dinner. They are open 7 days a week during summer (high season) from 9am to 10:30pm. In winter (November to March), they close by 5pm on week days. 1) Check out Top Bermuda Restaurants for all the great restaurants & bars in Bermuda. 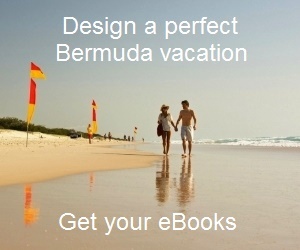 2) Check out Restaurants & Bars Directory for a complete list of dining options in Bermuda. 3) Check out Restaurants in Sandys know about all the great restaurants & bars in and around Southampton parish. 4) Check out Kings Wharf (Royal Naval Dockyard) to know about all the attractions, activities restaurants etc in the Dockyard. 5) Check out Sandys Parish to know about the parish including all its attractions, activities, hotels and other information. Best fettuccine Alfredo EVER! Family also loved the ravioli and pizza. We visited Little Italy in New York on the way home to Texas and ordered the same items. No comparison to Cafe Amici.